I,ve been dealing with the growing of organic spelt wheatgrass and the frozen version of wheatgrass juice already for five years. I was a former cancer patient myself, I came into contact with the wheatgrass juice in connection to my illness. Since then I have received many thanks and good feedback about the positive healing effects of wheatgrass juice. I,m not going to bore you with my story of getting into this after my recovery, I told it earlier on my other websites. My farm is in the countryside, one acre, mostly vineyard, orchard and vegetable garden, all naturally grown with the spirit of organic farming, and I possess all the necessary and official licenses for the activity and the product. What are the valuables of wheatgrass? In general a lot of healthy active substances can be found in grasses. Just think about the herbivorous animals, which eat nothing but grass and weed all their lives. Have you ever wondered how can a buffalo, a rhinoceros, a deer or an elephant be so strong? Have you ever heard of a goat with cancer? You didn,t did you? They only eat weed, though. Are you wondering about how this could be? How is it possible that there are beings that settle for grasses? So do not feel sorry for them! Feel sorry for ourselves rather! Well, not for the fact, that we don.t settle for weed, but because we eat so much toxins, and so little value! Sometime in the 30,s in the USA Dr. Schnaubel and Dr. Koehler has found the answer for the question. Ann Wigmore and the later joined Victoras Kulviskas were also really interested in it. They obtained green juice from young grasses, which proved to be rich resources of vitamins, minerals, enzymes, proteins and chlorophyll. They achieved extraordinary healings with pressed juices, and placed these juices in the center of attention internationally, particularly the provably very effective wheatgrass juice. To ensure the absorption of more minerals and vitamins, fresh and natural food is recommended, with Low-level processing and as natural as possible. Unfortunately, today,s fruits and vegetables are nutrient-poor, and we can,t eat enough of most of them. In many cases, if we eat more, unfortunately, we take in even more toxic compounds into our bodies - just think of the various conservation procedures or of the aging of unripe fruits with artificial chemicals and special gases, while they are on the road to store shelves, where they will be sold as fresh ... It is therefore increasingly important to find other ways to get the valuable and necessary nutrients. 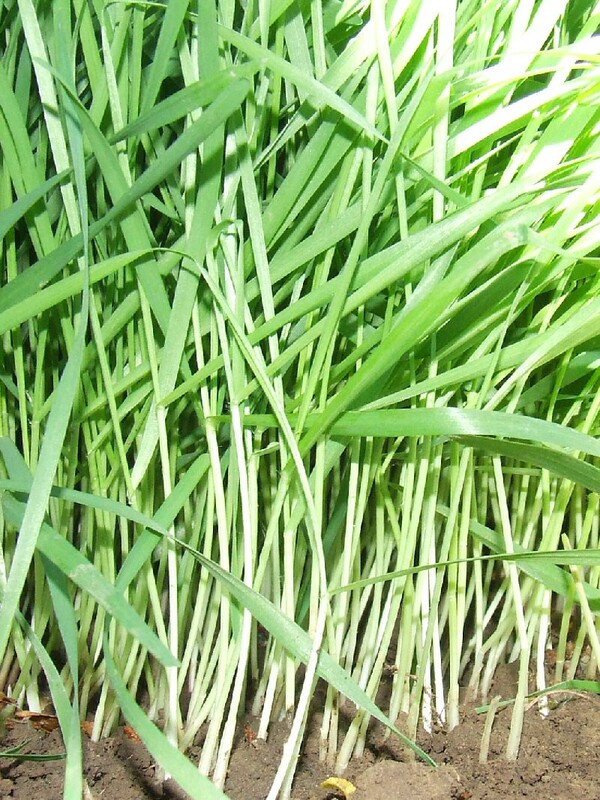 The wheat grass and barley grass provides an excellent opportunity to do so. It is important to know that the vitamins are also utilized much differently and operate differently, if we carry them into our bodies with the natural environment. The vitamins produced in laboratories are weak imitations of natural creations. There is only one Creator and not university educated. The nature has formed the plants over millions of years. The problem of mankind is that we cut the tree under ourselves with thinking we know it better, and we hurt ourselves more and more severely with series of nonsense. There,s been for example more than 600 beta-Carotenes identified so far. What do you think, how many can be found in a vitamin pill? Not worthy to mention! So what about the elements that are not yet known? What about the entirely different effects of the natural ingredients when consumed together? They are utilized otherwise, than lab mixed pills. Science admits that the naturally occurring substances from plants interact with each other when consumed together (synergy, synergistic effects)in a way as it cannot be reproduced artificially. Are you confident that the vitamin supplements are positively utilized? Wheatgrass is very rich in vitamins, proteins, enziymes and chlorophyll and all contexts are present in the pressed juice it as has been made by the Creator. Now it,s easier to understand the legendarily good effects. This explains much.